Kuala Lumpur is well-known for the nightlife and is a must-visit for those seeking dance entertainments in the city that rarely sleeps. Bukit Bintang or the Golden Triangle area is regarded as one of the top places to experience the Kuala Lumpur nightlife. The place welcomes you with a massive selection of clubs, bars and restaurants. Popular clubs are scattered around the city where easily reachable on foot or for those saving up on energy, by taxi. If you are headed to Kuala Lumpur, here are the joints that offer great music and hours of partying. Most of the time there will be world renowned DJs flown in for one night performances while usually it is the local in-house DJs that spin all kinds of genres of music. One of the best clubs in KL, Zouk has been around for 12 years and is one of the preferred clubbing scenes in the city. With numerous acts brought in from around the world, this is part of the international DJ circuit with top DJs performing here. 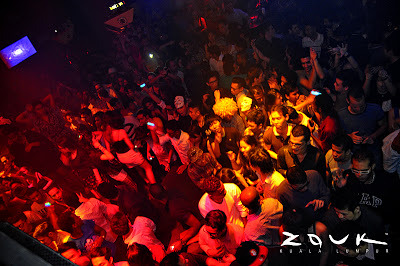 The party scene is pulsating at Zouk from Thursday through to Saturday. The prices could be a little heavy on the wallet but you can be assured of quality sound and world class DJs. The place can get crowded, so you will want to get there early. There are four main rooms to cater to different genres of club music, so you can be sure you will find something you like. Prepare for the long line though. A small price to pay for a place this cool. Well known in Singapore, the club’s Malaysian counterpart has now landed in Kuala Lumpur. 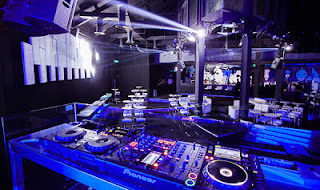 The Butter Factory KL aims to offer clubbers both popular and alternative culture, along with a variety of party music to boogie to. Known for their quirky themed nights, the club has a loyal fan base. 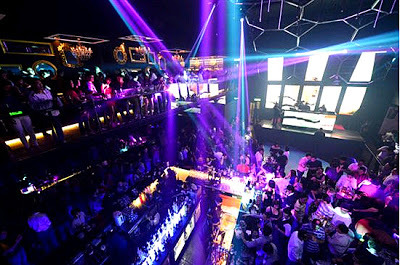 Recently opened in November 2012, this is set to be one of the popular places to party in KL and in the golden triangle. Butterfactory KL is also located just behind Pavilion Shopping Mall. 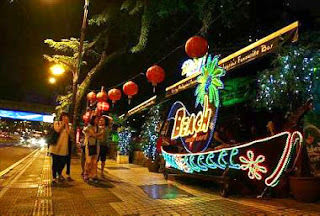 Beach Club in KL is one of the oldest and longest surviving bars. This infamous place caters to mainly foreigners who love the bar-club-party style. The club’s shaky reputation means that the place attracts mainly the single travelers and businessmen who are on short trips to KL. Many of the female patrons here are non-Malaysians, a subtle hint about the place. For tourism purposes, the Beach Club is worth a look. One of the newer additions to the club scene in Kuala Lumpur, Vertigo KL is set to take clubbers to dizzying new heights, quite literally. This club sits on top of the Gardens Mall in Mid Valley City. Opened in January 2012, this modern club emphasizes more on electronic dance music offering international and local DJs. Clubbers can expect techno, progressive and house music here. Located about 10-15 minutes from KL city, taxis are the only way here and back. Stage KL is located just across the famous Petronas Twin Towers in KL along Jalan Ampang in Avenue K. This club arrived on the KL partying scene in May 2012 and has 2 levels with a VIP area located upstairs. Being a new player in the KL clubbing scene, they try to offer something different in the club's design namely in its lighting and audio technology. The VIP balcony is the best spot to see all of the action too. This club caters to Asian artists and stars and is the place to be seen if you love the local Asian music especially K-Pop. Weekends tend to get busy here.